If you were to translate that quote from football terms into motoring terms, he could have been talking about the new Mercedes-Benz E-Class. Because that’s exactly what it is – pure class. It’s not too often that a premium saloon scoops the Irish Car of the Year award – the gong normally goes to a motor that ticks all the boxes and is usually an affordable family car. However, there wasn’t an eyebrow raised last year when Mercedes-Benz claimed the coveted prize for its new E-Class saloon. And a couple of weeks ago, I was reminded why we gave this car the nod over the rest when I stepped inside the E-Class estate. Having not driven one since it won the award, I had actually forgotten how good it was. 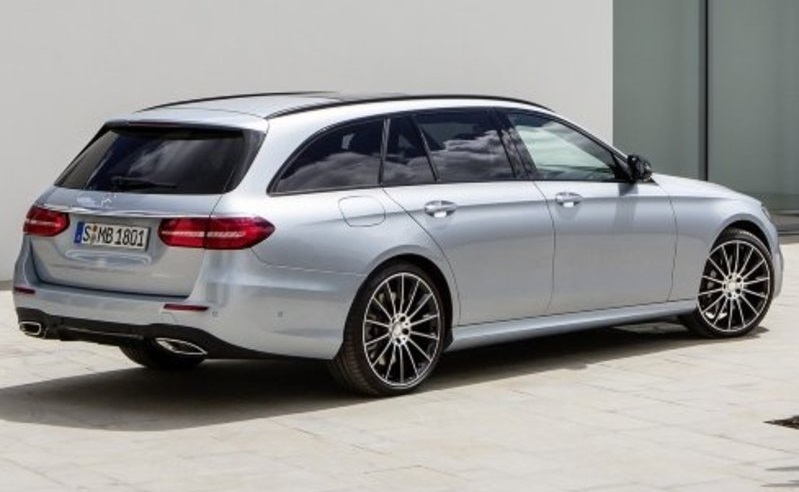 With all the extra room that comes with it, the estate version of the new Mercedes Benz E-Class is possibly all the car you will ever need. Like its saloon sibling, the estate is loaded with goodies. We were amazed at how much of the style and technology has trickled down from the flagship S-Class – at just a fraction of its price. The German premium brand has done a wonderful job on the interior, and it is as close to an S-Class as you are ever going to see. Highlights include new sculpted seats designed for long journeys, heated armrests in the doors and centre console and a choice of 64 interior LED lighting colours. Optionally available are two high-resolution 12.3-inch display screens, and three different wide-screen instrument cluster styles. A wide choice of materials and colour combos are available. The car also features touch-sensitive finger-swipe buttons on the steering wheel, which the driver can use to control the infotainment system while keeping both hands on the steering wheel. On the road, the new E-Class is smooth as silk, with the new 2.0-litre diesel mated with the nine-speed auto making driving effortless. The new diesel is a big improvement on the older 2.2 unit, although it’s still a little noisy on start-up. Once warmed, it feels refined with a decent amount of power to move the big E-Class. Prices for the new E-Class estate start at €52,360. However, if you start adding on a few extras you will find that the price can very quickly move up to nearly the €70k mark, which was the case with our test car. The good news, however, is that Mercedes-Benz is still offering a 10 per cent discount on all its fleet due to Brexit. The company thinks that by doing this that it will appeal to customers to buy in Ireland rather than opting for a UK import. My test car was fitted with the AMG sports pack, which I think every Merc should have, and the annual road tax is €200.